Johnny Mercer, Writer - Harold Arlen, Writer - Jamie Cullum, MainArtist Copyright : 2009 Motion Picture Artwork and Photography © 2009 Warner Bros. Entertainment. All rights reserved. 2009 New Line Records, A Division Of New Line Productions Inc.
Audra McDonald, MainArtist - Johnny Mercer, Writer - Harold Arlen, Writer - John Williams, MainArtist Copyright : 2009 Motion Picture Artwork and Photography © 2009 Warner Bros. Entertainment. All rights reserved. 2009 New Line Records, A Division Of New Line Productions Inc.
Johnny Mercer, Writer - David Raskin, Writer - Michael Feinstein, MainArtist Copyright : 2009 Motion Picture Artwork and Photography © 2009 Warner Bros. Entertainment. All rights reserved. 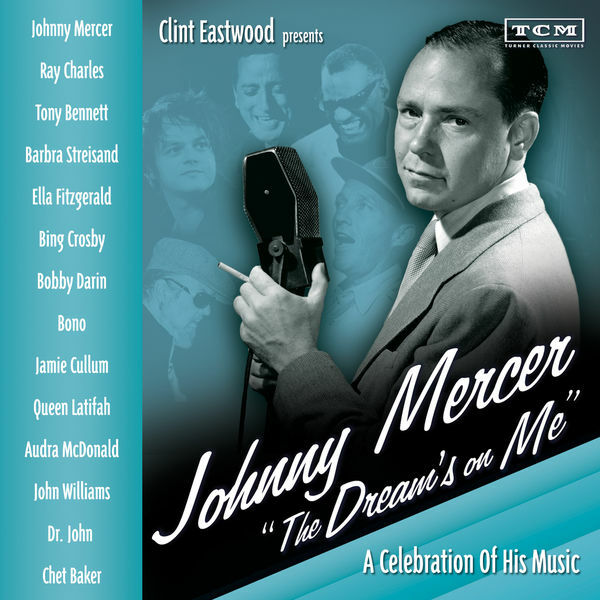 2009 New Line Records, A Division Of New Line Productions Inc.
Johnny Mercer, Writer - Dr. John, MainArtist - Harold Arlen, Writer Copyright : 2009 Motion Picture Artwork and Photography © 2009 Warner Bros. Entertainment. All rights reserved. 2009 New Line Records, A Division Of New Line Productions Inc.
Johnny Mercer, Writer - Harold Arlen, Writer - Kyle Eastwood, FeaturedArtist - Morgan Eastwood, MainArtist - Larry Golding, FeaturedArtist Copyright : 2009 Motion Picture Artwork and Photography © 2009 Warner Bros. Entertainment. All rights reserved. 2009 New Line Records, A Division Of New Line Productions Inc.
Johnny Mercer, Writer - HOAGY CARMICHAEL, Writer - Jamie Cullum, MainArtist - Maude Maggart, MainArtist Copyright : 2009 Motion Picture Artwork and Photography © 2009 Warner Bros. Entertainment. All rights reserved. 2009 New Line Records, A Division Of New Line Productions Inc.
© 2009 Motion Picture Artwork and Photography © 2009 Warner Bros. Entertainment. All rights reserved.